National Testing Agency (NTA) is conducting JEE Main 2019 from January 08 to 12, 2019. The exam is being conducted in 2 shifts, which are from 9:30 am to 12:30 pm and 2:30 pm to 5:30 pm. Candidates can get here answer key of JEE Main after the exam ends. JEE Main Answer Key is a pdf in which questions to answers in the exam are given. Until now, JEE Main answer key was released for the offline and online exam. However, this year, NTA is only holding the exam in online mode. 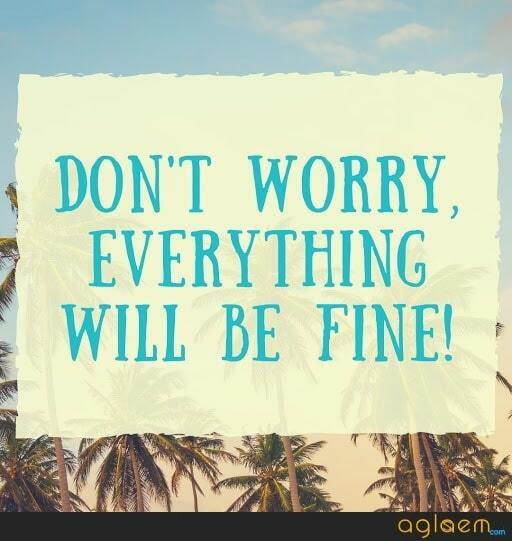 Hence, a proper answer key of JEE Main 2019 may or may not be released. But coaching institutes like Allen, Aakash, Resonance, Bansal, etc. will release memory based JEE Main 2019 Answer Key. We will update all the JEE Main Answer Key on this page. Keep visiting. Students found Physics and Mathematics section to be tough. Candidates who did not took original certificates were not allowed to give the exam. Student reaction is available now. The examination was overall difficult and maths was the most tough section. NTA is conducting JEE Main in 467 centers, in 258 cities. 9 centers are outside India. In North East, 21791 candidates have registered for 17 centers, in 15 cities. Total 11,09,250 candidates have registered and of these, 9,29,198 have registered for Paper 1 and 1,80,052 for Paper 2. For Paper 1 the number of candidates for each category is: UR – 452474, SC – 86066, ST – 34875, OBC – 355783. For Paper 2 the number of registered candidates is: UR – 84438, SC – 17968, ST – 9049, OBC – 68597. 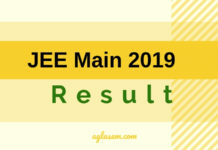 JEE Main 2019 is going to be held between 8 to 12 Jan 2019. Here, candidates can get JEE Main 2019 answer key and paper analysis for exam on 8, 9, 10, 11, and 12, January 2019. All questions in Joint Entrance Examination (JEE Mains) are multiple choice. Each question has four options, out of which, only one is correct. Answer key of JEE Main 2019 tells you which are the correct answers. Marking scheme is +4, -1. Your score in JEE Main = Number of correct answers x 4 – Number of incorrect answers x 1. 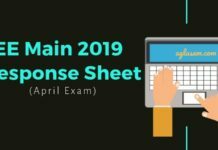 By matching the answers given in JEE Main answer key 2019 with the answers you have marked in response sheet, you can calculate probable score. Your All India Rank in JEE Main is inversely proportional to marks obtained. Once you know probable score using JEE answer key, you can see whether it is equal to or more than cut off or not. Also use the rank predictor to find out your expected rank. All this can be done before declaration of result of JEE Main. Candidates should note that this year there shall be no sets for JEE Main answer key or question paper. NAT will release answer key through login. Each candidate will get to see the answer key for their question paper and it will be different for all the candidates. 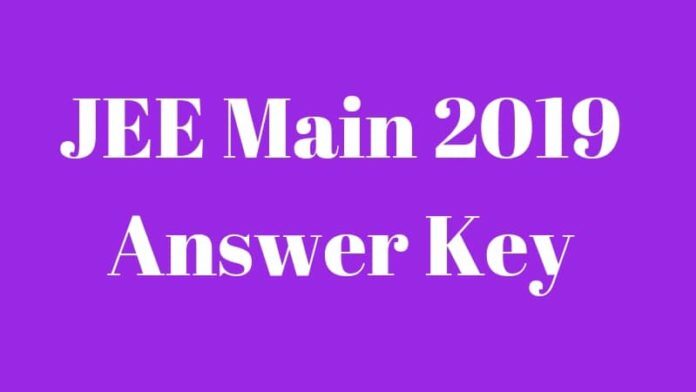 How to Download JEE Main 2019 Official Answer Key? Step 1: We will provide the link for JEE Main Answer Key on this page. So, candidates only need to click on it. Step 2: A window as shown below will open. Choose if you want to login for JEE Main Answer Key via Password or Date of Birth. Step 3: Next, the candidates will have to enter Application Number and Password / Date of Birth. Then, click on the ‘login’ button. Step 4: Lastly, the dashboard will open and the candidates will be able to access JEE Main answer key. NTA displays question paper and response sheet along with JEE Main Answer Key. These are also displayed at the login and the candidates can access it from the dashboard. 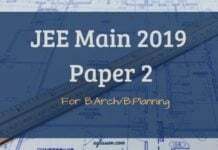 The question paper of JEE Main contains all the question that were displayed to the candidates during the exam. The response sheet of the candidate is a file in which all the answers marked by the candidates are given. From it candidates can check if the answer marked by them is correct or not. The challenge facility will also be available online, at jeemain.nic.in. Candidates will be able to submit objection against JEE Main answer key and question paper. To do so, the candidates will have to pay Rs. 1000 per challenge and submit a document of proof. This document of proof can be solution or theroy or anything which will support your objection of the answer key. What is the Minimum Marks required in JEE Main to qualify it? Candidates may refer to the table below to know what are the minimum qualifying marks for JEE Main. Candidates can check and get previous year JEE Main answer key and question paper from here. Set A: Click here to download JEE Main Question Paper of Set A. Set B: Click here to download JEE Main Question Paper of Set B. Set C: Click here to download JEE Main Question Paper of Set C.
Set D: Click here to download JEE Main Question Paper of Set D.